The idea for this book is derived from the scantiness of academic references on the European Union's policies towards the Black Sea, relative to this region's officially stated significance for the EU. Even though the EU plays a vital role in Black Sea political agendas, the EU's cooperation with the region is not extensively covered by academic discussions and literature. This is mostly due to the fact that the EU's focus on foreign affairs is mainly associated with the Balkans, as part the current and potential expansion, and the Middle East, as a direct consequence of the upheaval of the Arab Spring. The Black Sea region is crucially important for the EU because of the opportunities and challenges that the region presents, both politically and socio-economically. 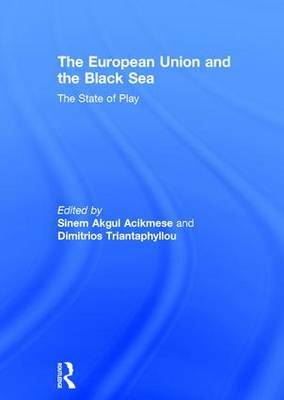 Contributions to this book mostly focus on specific issues of EU-Black Sea cooperation, from conflict to the environment to democracy, and how these particular relationships are perceived within the region as well as through the lenses of stakeholders such as Russia, Turkey, and the USA. Overall, the collection focuses on projecting a more efficient role and a holistic strategy for the EU in its approach towards the Black Sea region, testifying to the need for a strong EU presence. For this reason, the Black Sea area remains `the neighbourhood too close to, yet still far from, the European Union'. This book was originally published as a special issue of the Journal of Balkan and Near Eastern Studies.